As a real estate attorney, I always take the time to fully explain to our clients the intricacies of the Massachusetts Purchase and Sale Agreement. The purchase and sale agreement is the governing contract between the Buyer and the Seller regarding the proposed property to purchase. Most Buyers submit an initial Offer to Purchase to a Seller, which spells out the terms of the contract. The purchase and sale agreement supersedes the offer, and can be thought of as the “long form” contract. At first blush, the purchase and sale agreement, like most legal documents, can be difficult to read and comprehend. 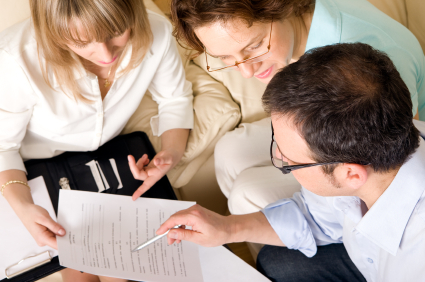 Second, the purchase and sale agreement deals with the title to the property and the deed. It lays out the framework for a conveyance (a real estate transfer) in Massachusetts. The agreement spells out that the Seller conveys the deed to the Buyer in return for consideration, then the deed is recorded and the Buyer becomes the owner of the property. However, in Massachusetts, once the deed is recorded at the proper Registry of Deeds, then any title issues “run with the land.” Thus, the new owner becomes responsible for any outstanding encumbrances or liens that were not properly discharged. In order to protect the Buyer, the purchase and sale agreement provides that the Seller must convey “good, clear and marketable” title. Acting as the buyer’s or lender’s counsel, or both, attorneys will review the title exam and work with the Seller’s attorney to clear any title issues, so that the buyer will receive a certification of title and an owner’s title insurance policy. There is a note of caution about the standard form Massachusetts purchase and sale agreement. The standard form provides several hidden advantages to a Seller, I’ve written about on this Blog. Thus, buyers must have an experienced attorney revise the agreement and flag those built in deficiencies. For example, if a Buyer were to default prior to closing, the standard form document provides no cap on the damages; a skilled attorney will know to cap the damages at the deposit. The same is true if a buyer loses his rate lock if there is a delay of the closing; a skilled attorney would use language to protect the buyer in this situation. Since the P&S is “anything but standard,” an experienced real estate attorney who review and negotiates the document will certainly add value to the closing process.